If you have ever embarked on some sort of DIY-project, be it in your house or garden, you will have encountered the one material you can’t build anything without: plywood. And if you’re anything like me, you will probably have thought “well, getting that can’t be too hard” – except, it turns out, it actually is. Not because there’s any kind of plywood shortage afoot, but rather because of the complete opposite. My first foray into plywood-purchasing very quickly became a true eye-opener when it comes to the different types of plywood you can actually buy. Up until that fateful day at the hardware story, all I knew about plywood was that the term refers to some sort of wood panels made up of multiple layers that are glued together. And while this is basically true, there’s a lot more to plywood than that. These days, plywood is used as a generic term and refers to any type of engineered wood panels, and there are quite a few of them available. Used mainly for construction and industrial purposes, softwood plywood is typically made of cedar or a combination of spruce, pine and fir (SPF plywood). 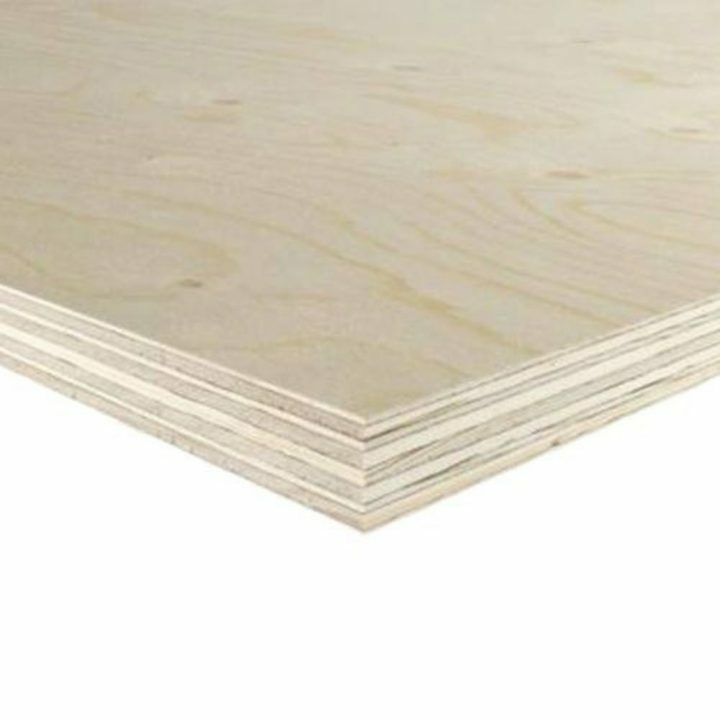 This type of plywood can, depending on thickness (and therefore number of plies), be used for everything from roofing to flooring. 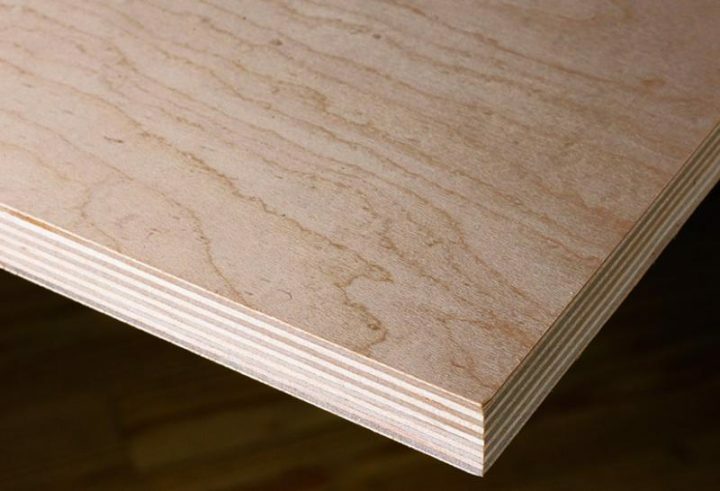 Used mainly for cabinet and furniture making, hardwood plywood is produced the same way as softwood plywood, but has an added inner and outer layer of hardwoods like ash, oak, birch, maple, and even mahogany. 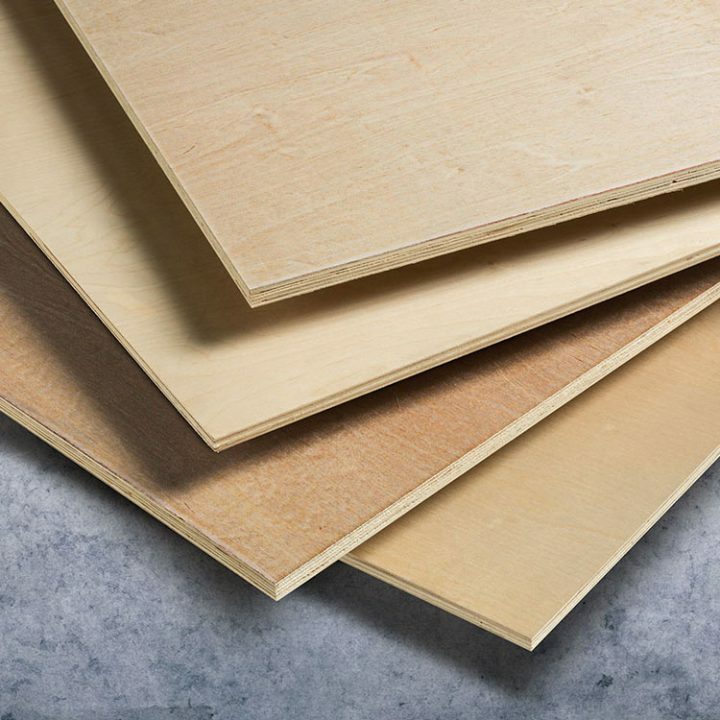 Additionally to furniture-building purposes, hardwood plywood is often found in sporting equipment, musical instruments, and even packing crates – in other words, hardwood plywood is perfect for everything that require strong frames and/or high impact resistance. Cabinet plywood is essentially the same as hardwood plywood. Typically, when you see something marked as cabinet plywood, it is either ash or birch hardwood plywood. Made out of tropical timber, tropical plywood comes with superior density, strength, evenness of layers, and (obviously) quality compared to softwood plywood, and is widely used in the US, UK, and many Asian countries. On the downside, tropical plywood production is responsible for/part of large-scale deforestation in many areas of the Philippines, Malaysia, and Indonesia, and you might want to take this fact into consideration before settling for this type of plywood. Aircraft plywood is also known as high-strength plywood, and really, that tells you all you need to know. Made out of mahogany, spruce, and birch, this type of plywood is glued together with adhesives that increase resistance to heat and humidity. And if you’re curious why it is called aircraft plywood, the answer is as simple as it is straight-forward: this type of plywood was put to heavy use in the construction of air assault gliders and fighter aircraft in World War II. Plywood was mainly used for wing surfaces, but other flat sections such as bulkheads were constructed out of it as well. This type of plywood is typically faced with hardwoods like red oak, rosewood, or teak, and therefore is used mainly for projects that require decorative fronts. Just as the name suggests, flexible plywood is exceptionally bendy and is primarily used for curved parts in a construction of furniture. 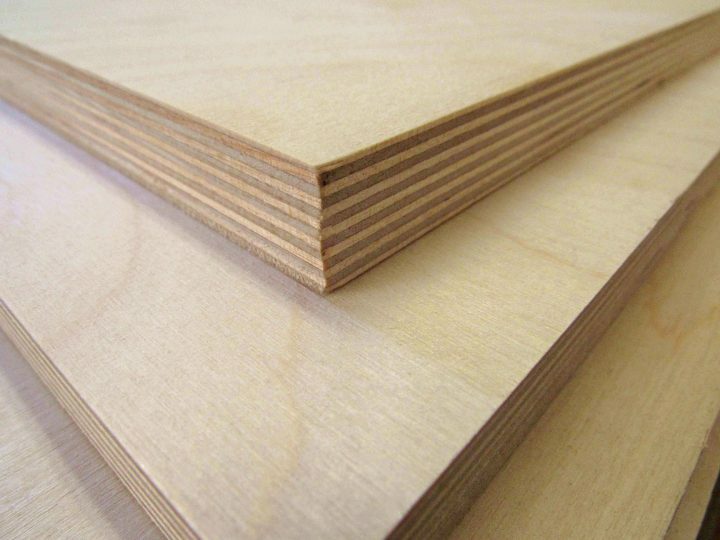 To give you a bit of extra knowledge, flexible plywood typically is made up of a cross-grains central ply and two thicker long- or cross-grain pliers on each side of it. Additionally, decorative wood veneers are oftentimes added as a surface layer. If you happen to come across the term “hatters ply”, this is another way of referencing modern-day flexible plywood, and stems from the UK. 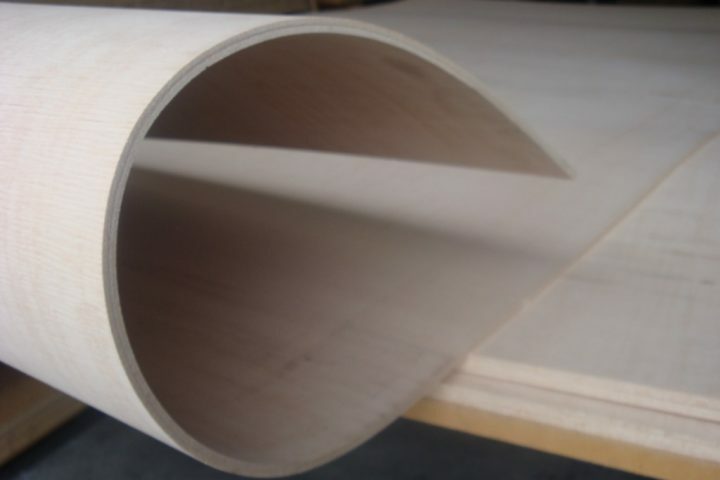 In Victorian times, single sheets of veneer were used to create stove-pipe hats, and the colloquial term for this flexible material has come to represent flexible wooden sheets, and this certain kind of plywood in particular in contemporary usage. Manufactured from tropical hardwoods that are notoriously durable in humid and wet conditions and stand up well against the threat of fungal infection and growth. Therefore, it’s perfect for use in bathrooms, on the porch, or if you’re building a boat in your basement. With these properties, it is obvious where the name comes from. 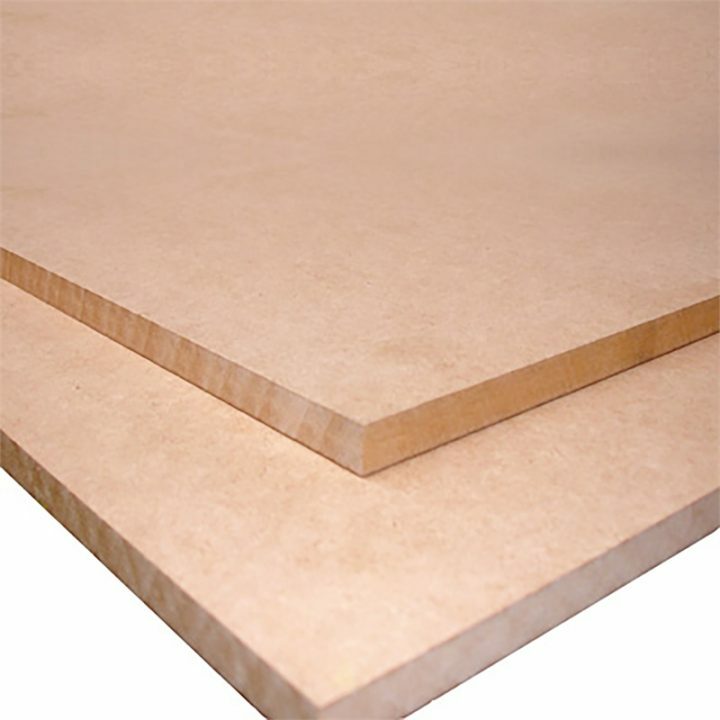 There is probably no better plywood to be used on ships or generally in environments where it is exposed to moist conditions over a long period of time. And how do you know the plywood you want is of the marine kind? Well, there are a few international standards for marine plywood, but most of them are voluntary. 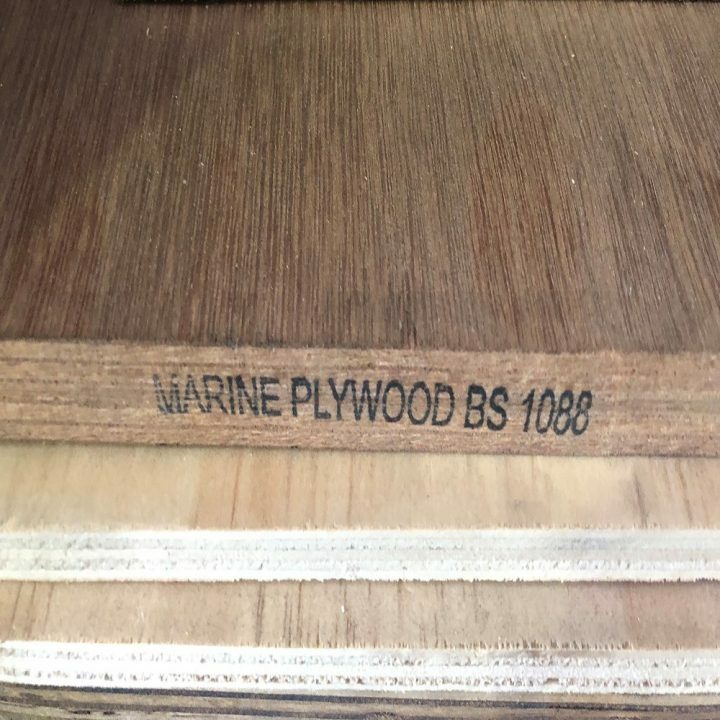 If you want to be on the safe side, look out for plywoods graded as being compliant with the British Standard BS 1088, and/or be on the lookout for those plywoods with a stamp of certificate by Lloyd’s of London (yes, that’s the famous marine insurance company). This kind of plywood is also known as “Russian Birch”, and is produced in an area around the Baltic Sea. Baltic Birch has originally been manufactured for European cabinet makers, but has found its way to the US market since then. The main difference between more common types of plywood and Baltic Ply is the number of layers – Baltic Plywood boasts up to 13 individual layers of plies. A fact which makes it very popular for drawer sides and appliances with bullnose edges that don’t allow for solid wood edging. If you’re looking for additional stability, Baltic Birch might be the way to go. However, there’s also an increased price associated with this kind of plywood. Just as Baltic Birch, ApplePly is best known for, and characterised by a higher number of layers than standard soft- or hardwood plywoods. Made from uniform layers of alder and birch and with a high number of laminations, ApplePly is both strong and lightweight, and is a preferred choice for furniture and cabinetry. Additionally, ApplePly machines very well without danger of tearing and fuzzing. Made out of sawdust, shavings and small pieces of wood, particle boards are commonly used under laminates on countertops and for shelving. 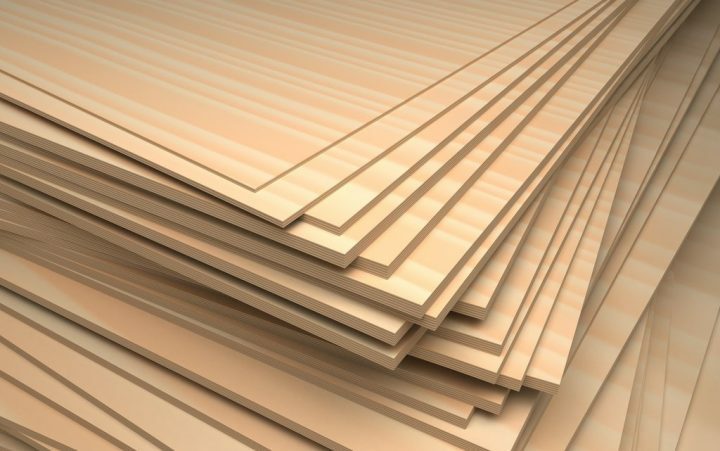 In many (cheap) furnitures, particle boards are used under trimmed solid wood sheets, in order to keep the cost low. In terms of price, particle boards are the most economic solution, but they at the same time are by far the weakest of all sheet goods. 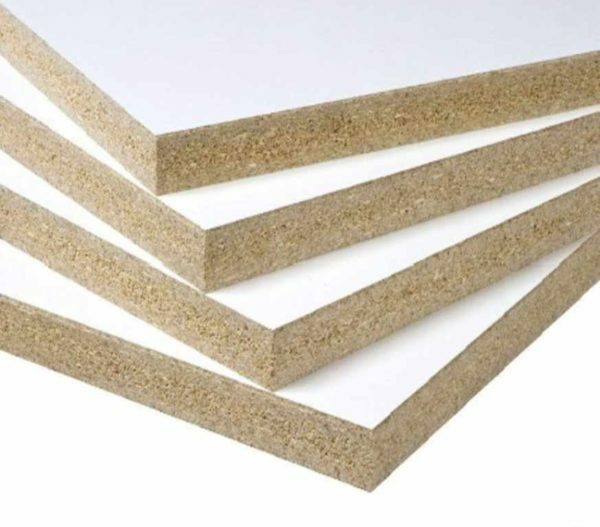 In contrast to particle boards, Medium Density Fiberboards are made from individual wood fibres, and don’t have any sawdust or wood chips in them. This makes the surface of MDFs very flat (even flatter than typical softwood plywood), and thus makes MDFs the perfect choice as base for anything that will be painted or covered with a vinyl coating. Please note that while Medium Density Fiberboard is stronger than particle boards, it is still notably less strong than real plywoods. 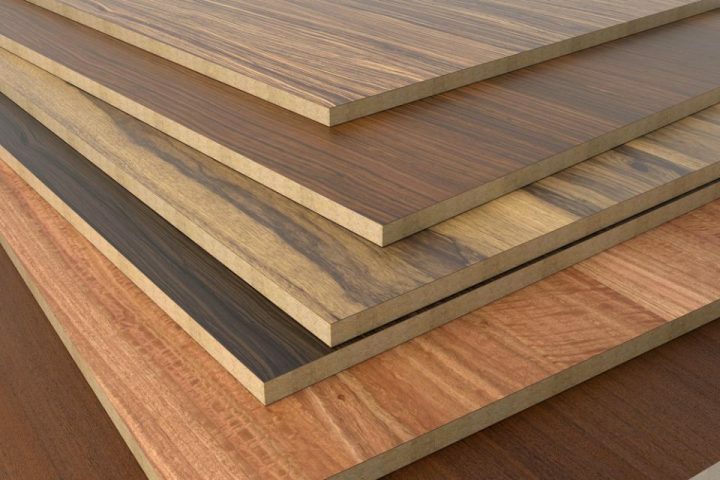 It is also heavier than nearly all other types of wood sheets/boards. Recognised by building codes as an equivalent material to plywood, the Oriented Strandboard is made of roughly 50 layers of wood strands and chips. 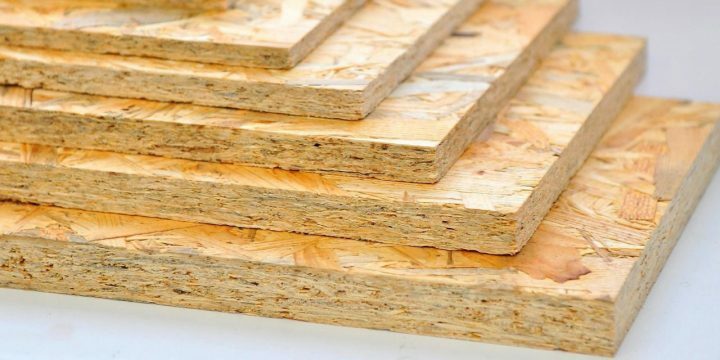 In terms of cost, OSB comes in at around 25 percent less than comparable sheets of plywood, which might be one of the reasons why it is considered as inferior to plywood by many people. Oriented Strandboard is commonly used in construction, subflooring and roof decking.